Dow Jones Today, Sept. 15, 2014: The Dow Jones Industrial Average was on the rise Monday as markets remain highly anticipative of Chinese e-comm giant Alibaba Holding Group's initial public offering, slated for Friday. Over the weekend, Alibaba executives admitted that the firm chose the New York Stock Exchange as the destination for its U.S.-based listing over the Nasdaq due to concerns about the latter's problems during the IPO of Facebook Inc. (Nasdaq: FB). With interest in the company's IPO building, it's becoming more likely that this debut could be the largest in market history. Despite the enthusiasm, the tech sector took a hard punch this afternoon. The Nasdaq slipped roughly 1% today, with Tesla Motors Inc. (Nasdaq: TSLA) falling 9% and two iconic digital firms, Facebook and Netflix Inc. (Nasdaq: NFLX), both off nearly 4%. 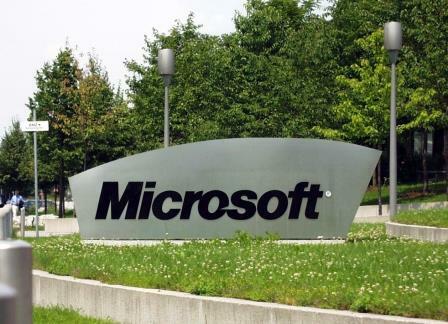 Merger Mania: Tech giant Microsoft Corp. (Nasdaq: MSFT) has announced plans to purchase the video game developer Mojang, the maker of the popular game Minecraft, for roughly $2.5 billion. Mojang has just 40 employees and earned $287 million in revenue in 2013. The Minecraft construction game, which allows users to build anything they desire block by block, is very popular and sets up Microsoft for an interesting battle between itself and its rivals Google Inc. (Nasdaq: GOOG, GOOGL) and Apple Inc. (Nasdaq: AAPL). The game is currently the top-selling app on both Apple's iOS and Google's Android systems. Biotech Boom: Shares of Avanir Pharmaceuticals Inc. (Nasdaq: AVNR) were up more than 85% this afternoon on news the company reported positive results for its mid-stage trials for AVP-923, a treatment for agitation related to Alzheimer's disease. The drug still requires approval from the Food and Drug Administration; however, there are no drugs currently approved that specifically deal with Alzheimer's related agitation, a notorious and unpleasant side effect of the disorder.